Earlier this week, images for Avalanche Studios’ upcoming third installment in the Just Cause series were leaked giving us an idea as to what to expect. But, after contacting the administration of Xbox Underground, I was able to gather some more pictures from the game that show us even more about the game. Xbox Underground is run by one of the biggest names in the Grand Theft Auto hacking, Chr0m3 x MoDz, as well as superDaE who is well known for providing one of the biggest leaks of upcoming games from some major developers. 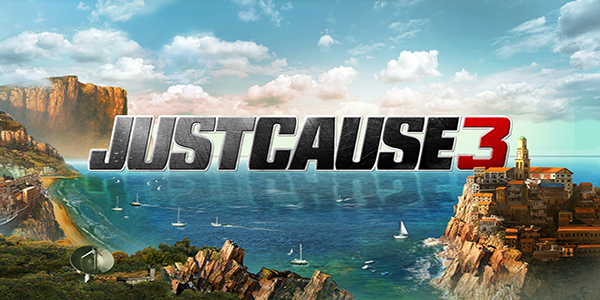 Just Cause has been in development for quite sometime. It has been no secret with all of the clues that have been dropped when asking Avalanche and Square Enix as to what to expect. One for instance is when Christofer Sundberg mentioned that Just Cause was "perfect" for the Xbox One and PlayStation 4. They were even seen roaming around through Costa Rica to research "complex environments for future games." But now we have some more information on what was being done to make another addition to the Just Cause series. What we know so far is that the player takes on the role of Rico in third person, much like the first two games. The game was originally planned to be a FTP game for PC but would be available for purchase on console where players would have the option of making in game purchases that would further progress them through the game. Available for purchase were vehicles, weapons, and other items in which gems would be used to purchase them. Though that was the original plan when these images were taken, things have changed since the original debug version was in development. After talking to Chr0m3 x MoDz, he gladly showed us some more pictures that have shed even more light on the game. Some of the pictures that were gathered are show off the title screen, loading screen, as well as another look at the Black Market. On this new page of the Black Market, you have the option of making in game purchases with real money that will give you in game currency known as "diamonds." Going from the image, it will cost you $7 for 400 diamonds. So far, the only two things that we know you will be able to purchase is a sports car known as Kensington Serpentre R, which will cost 20 diamonds to buy and 15 diamonds to rent. The other known item for purchase is a grenade launcher called Fire Leach. Also, at the bottom of the Black Market, there seems to be a count down timer that will tell you when the next supply drop will be. Since these images were taken during a debug version of the game, it is likely that changes have been made. If you would like to wait for more updates, check out Xbox Underground where you will be able to keep up on other updates for the game.